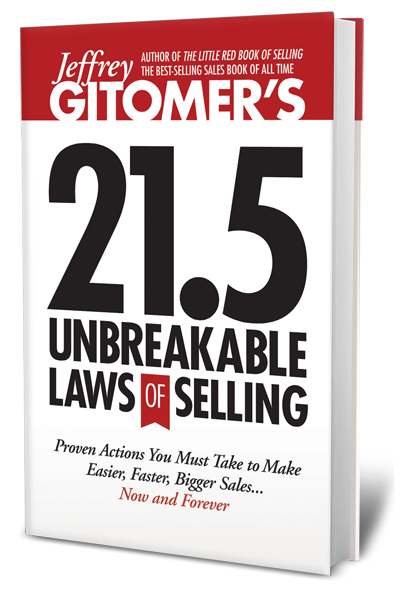 Do you abide by the laws of selling? Hello Blogosphere! I’m back! Did you miss me? Technically, I’m not in “Sales,” so I wondered if I would find any value. After 58 pages, the answer is a definitive yes. Short chapters, lots of bullet lists, actionable suggestions that apply to anyone who wants to sell his or herself. Your voice starts with the inner voice you hear before you speak a word. For more, check out http://www.gitomer.com, or come on back to my blog!